Aliyu was docked alongside his former Chief of Staff, Umar Nasko, on a six-count charge bordering on criminal breach of trust. This is punishable under Section 97 and 312 of the Penal Code. He sat in the dock looking sad and amazed. No matter how hard he tried to max it, people in the court room could almost smell fear all over him. 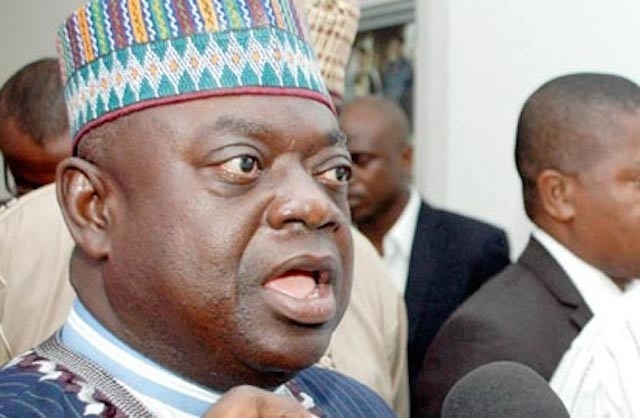 In his heydays as governor of Niger State, Babangida Aliyu would never have imagined that one of his subjects would send him to jail. But that was what played out like a video on Tuesday when a Minna High Court ordered the remand in prison custody of the former governor. Aliyu, who had styled himself as the Chief servant of the state, may have had one cookie too many. He is standing trial over alleged 4.568 billion Naira fraud and abuse of office. Last week, the EFCC threatened to declare a former commissioner for local government, Kantigi Lima wanted over some 6 billion Naira traced to his account. The two men were accused of dipping their hands in the cookie jar belonging to Niger State people. According to the EFCC, the funds are for ecological projects, as well as proceeds realised from the sale of 16% shares of the state in the North-South Power Company. Despite pleas during the hearing for bail, Justice Aliyu Mayaki ordered that the former governor and his co-accused be remanded. He then adjourned the case till May 3, 2017 for ruling on bail applications.